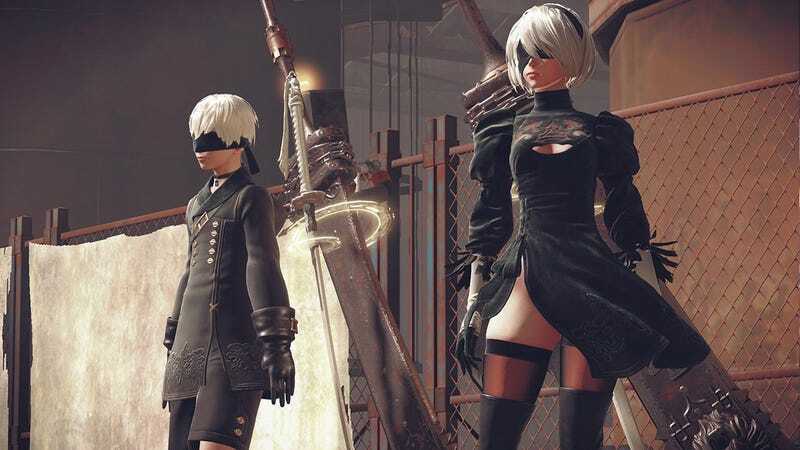 Players looking to snag a platinum trophy for Nier: Automata will have an easier time after a few playthroughs. Trophies will be available for purchase using currency collected in game. As noted by Reddit user youkatei, players can actually buy trophies in game using their gathered money. But don’t fret, this isn’t something you pay real world money for. It’s the same in game currency you’d use to buy a potion or a weapon. Players can use their gathered funds to unlock trophies after three playthroughs if they locate a secret shop. Nier: Automata promises to be a very large and replayable game. There’s multiple endings and secrets to be found. After three playthroughs, players might want a little break. Especially considering how much of a time investment that will be. Director Yoko Taro has always been fond of blurring the lines between the real world and his games. He’s deleted save files, deliberately changes visual perspectives and genres mid game, and allowed players to kill themselves by un-equipping essential items. This is just another quirky decision from a designer who is eager to play around with his games.